It seems as though Ramirez's role will be contingent on what transpires with Felix Hernandez and his tenuous spot in the rotation. If all goes as expected Sunday afternoon in Tacoma, Erasmo Ramirez should be joining the Mariners’ pitching staff in the days that follow. The diminutive right-hander is expected to make one more rehab start with the Rainiers before being activated from the disabled list. Ramirez missed most of spring training dealing with a lat strain. He returned from the disabled list April 21, making two inefficient starts before going back on the DL again with right teres major strain May 1. In two appearances this season, he’s 0-2 with a 10.24 ERA. But admittedly, he wasn’t healthy in those two starts. That’s changed now. Ramirez will have to be placed on the 25-man roster when the team activates him from the disabled list. He’s out of minor-league options so he either has to stay on the team in some capacity or be designated for assignment. His versatility to be used either as a starter or reliever is the reason Seattle re-acquired him from Tampa Bay last season. It seems as though Ramirez’s role will be contingent on what transpires with Felix Hernandez and his tenuous spot in the rotation. 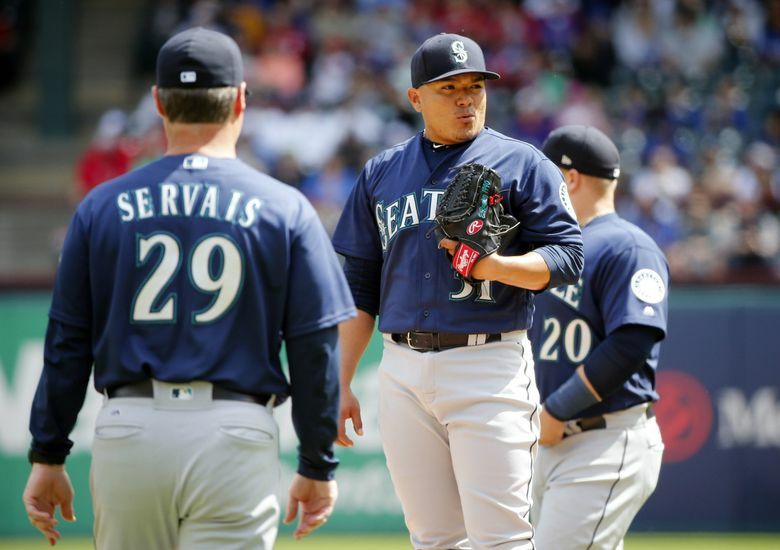 Saturday afternoon, manager Scott Servais confirmed that Hernandez, the embattled former ace, will make his next turn in the rotation, starting the game Tuesday in Arlington against the Texas Rangers. “We’ll stay in rotation,” Servais said. Hernandez pitched five innings, allowing two runs Thursday night against the Blue Jays in 7-3 defeat. It wasn’t a great outing, but it represented an improvement over the previous three outings for Hernandez. It does feel like Hernandez’s status in the rotation is still start to start. But with Ramirez not exactly lined up to replace Hernandez in the rotation, Seattle might use Ramirez in the bullpen and then adjust if need be.